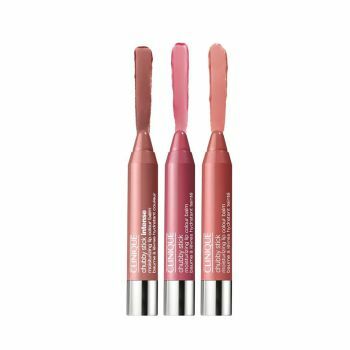 Chubby Stick Moisturizing Lip Colour Balm is just what dry, delicate lips need to feel comfortably soft and smooth. Loaded with do-gooders like mango and shea butters, it’s the perfect mid-flight pick-me-up for lips. Here, three natural-looking shades, each with a subtle sheen: Mega Melon, Two Ton Tomato and Chunky Cherry. Allergy Tested. 100% Fragrance Free.